Dreamheaven Guesthouse Udaipur is located in the city of lakes and from here you can explore the stunning beauty of this traditional city. both local and foreign tourists enjoy the magnificent past of Rajasthan under the Rajputs and other Indian kings. 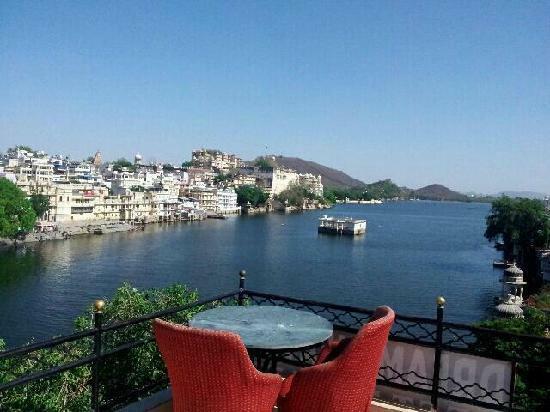 Dream Heaven provides the perfect base to explore the fabled city of Udaipur, Acclaimed worldwide for its beautiful lakes, Medieval palaces and colorful bazaars. Smoking Rooms, Parking, Restaurant, Disabled Facilities, Recreation, Drivers Rest Room, Backup Generator, Travel Counter, Doorman, Laundry Facilities. Makeup / Shaving Mirror, Basic Bathroom Amenities, Cable/Satellite TV, Television Room, Complimentary Newspaper, Reading Lamps, Safe Deposit Locker Facility, Internet Access, Attached Bathroom, Daily Room Cleaning. User reviews for "Dream Heaven Guest House Udaipur"